20 years have passed since June 1, 1993. The world has changed, our lives have changed, but the love and memory of the three of you, shall never change. No one knows how we miss you, no one knows the bitter pain. Since we lost you, life has never been the same. Gina, Shaun and Joshua, we think of you daily. We love and miss you! 15 years without you seems like a lifetime and so unbelievable. How wrong, very very wrong this all is!! We went to the cemetery to say "hello" and put out flowers for the three of you. 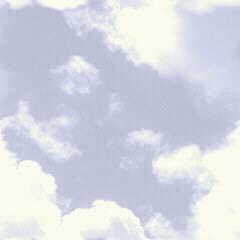 We also released 15 balloons in your memory. There were 12 purple ones (I know Gina it's your favorite color - it's also the color for domestic violence awareness) and there were three white ones - one for each of you. We attached little notes for each of you to the white balloons - we hope you got them as the balloons went up into the clear beautiful blue sky. Gina, Shaun and Joshua please know that we miss you every day and remember you with love. 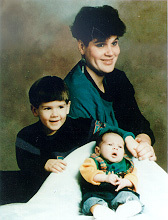 Ten years ago, June 9, 1993, Gina, Shaun and Joshua were murdered. Today, we remembered them by having a small ceremony at the cemetery and releasing three white doves. The dove I was holding jumped on my finger and looked at me - I like to think it was Gina saying - "Mom, I don't want to go but I have to fly now and be with my boys" and off she went to join the other two and they circled around us before they flew home. When we are weary and in the need of strength, we remember them. So as long as we live, they too shall live, for they are now a part of us, as we remember them. Go now, find the light! It was a very emotional, moving and memorable time. We have survived these ten years because of the strength we got from each other and from our wonderful family and friends. Gina, Shaun and Joshua, we will forever love and miss you!! As the fifth year anniversary of the murder of their daughter (Gina) and grandsons (Shaun and Joshua) nears, the family is looking at what has been accomplished since June 9, 1993. "We talk almost daily about ways that value can be put to Gina and the boy's lives," Gina's father said. "We have investigated several different avenues since the trial was complete in 1995. "Topping the list are speeches that we're making before police districts, domestic violence professionals and those involved in domestic violence," he continued. "The common thread through all this is  those involved in domestic violence relationships must get help. We've also done some speaking before prisoners in state prisons. It's our hope that one offender will understand the far reaching impact of crime and, if they are to get released, will remember Gina and the boy's story first before considering taking another step toward crime." "I find it overwhelming to realize the power just telling my kid's story has," Gina's mother remarked. "A company in California, that makes angel pins, heard their story and made a pin with a mother angel holding a baby angel with a young boy angel standing next to her. It's called "A Mother's Love." What's so remarkable about this is, "A Mother's Love" is going to be put into their 1999 line and all profits from the sale of this pin will go to benefit a women's shelter in their area  3,000 miles away. "How dramatic is that!" she noted, "women at this shelter are going to realize value from my kids. That's powerful!" Gina's mother also serves on a national committee, The National Silent Witness Initiative, designed to eliminate murders nationwide that result from domestic violence by the year 2010. It's also noted, that during this past year, a home page in memory of Gina, Shaun, and Joshua has been put onto the Internet. The page (http://www.g-s-j.org), is not only telling their story but is giving significant and important information about domestic violence, crime victims and gives links to where other data can be found. "Now people all over the world can immediately find help and resources for domestic violence just by visiting the kid's home page," the father and grandfather noted. All this, plus the Gina, Shaun and Joshua Memorial Fund they started right after the trial in 1995 at the Center Against Domestic and Sexual Violence (a not-for-profit organization providing free crisis counseling and support services to survivors of domestic violence and sexual assault) in Greensburg, Pennsylvania. "There are no words to express the hole that has been left in our lives  it's like we have lost an arm, we learn to live without the arm but every so often the nerves at the end - where the arm was - start to tingle and we realize - once more - we're minus our arm  we're minus our daughter and grandsons," both parents vocalized. They said, almost in harmony, "time doesn't heal all wounds  it just puts space between the present and the tragedy. We can make a difference! If we open only one person's eyes about the effects of domestic violence then that is our kid's legacy." Gina Marie Lupson-Holden-Young (26 years), Shaun Edward Lupson-Holden (3 years), and Joshua Lee Lupson-Young (7 months) were murdered in an arson fire June 9, 1993 in Jeannette, Pennsylvania. This was the tragic conclusion of a relationship with a history of domestic violence. In October 1995, Gina's husband, was found guilty of first degree murder of Gina, and second degree murder of Shaun and Joshua. He is now serving three consecutive life sentences in a Pennsylvania State Correctional Institution. The Gina, Shaun, and Joshua Memorial Fund is handled by The Center Against Domestic & Sexual Violence, PO Box 246, Greensburg, PA 15601, 724-837-9540 (724-836-1122/24-Hour Hotline).